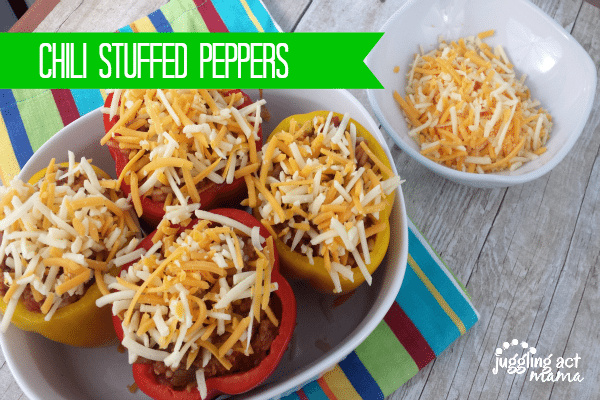 These Chili Stuffed Peppers are a great weeknight meal, or fun game day party recipe. 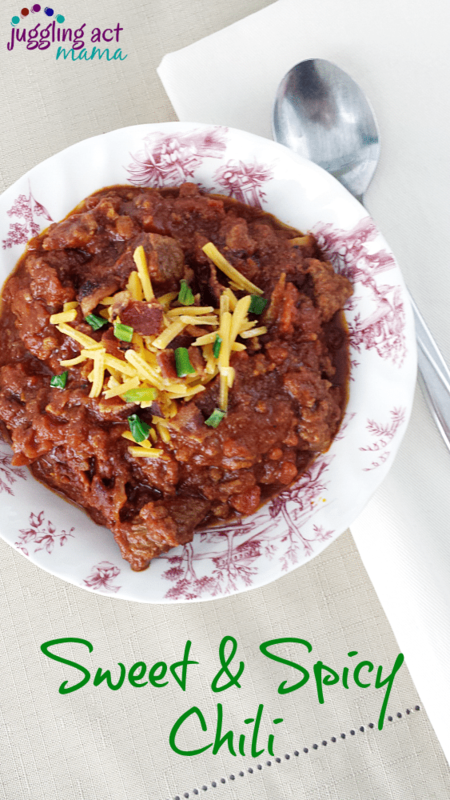 It’s a great way to use up leftover chili. I love quick weeknight meals I can make from leftovers. 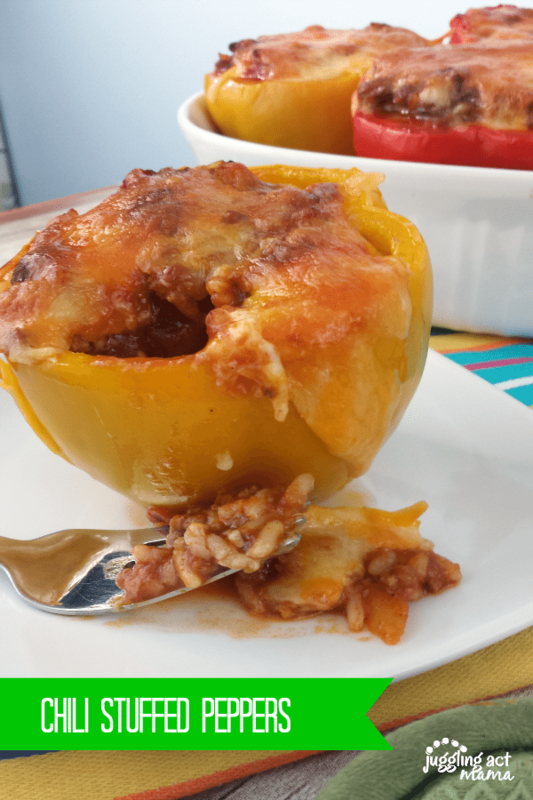 These Chili Stuffed Peppers are a great way way to use up left over chili. I like to start with my Sweet and Spicy Chili for a crowd. It’s got great flavor, and a boost of extra veggies from sweet potato puree. You might also like our Vegan Chili recipe. Mr. Juggling Act likes beans in his chili, but the rest of us don’t, so I usually omit them. You can use whatever favorite chili recipe you like for this. You could also add 1 can of black or kidney beans to the chili mixture if desired. 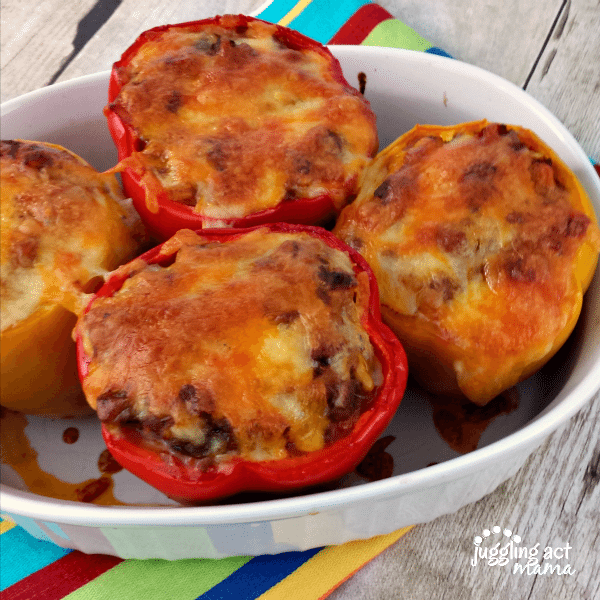 Preheat the oven to375-degrees F. Lightly grease or spray a baking dish to keep the peppers from sticking. In a large bowl, mix together the leftover chili, rice, and 1 cup of cheese. Cut the top of the bell peppers off and remove the seeds and membranes. Fill each pepper with a quarter of the chili mixture and place in the baking dish. Top with the remaining cheese. Cover the baking dish for tinfoil, and bake 35 minutes. Remove the foil and bake for an additional 5-10 minutes until the cheese is melted and bubbly. 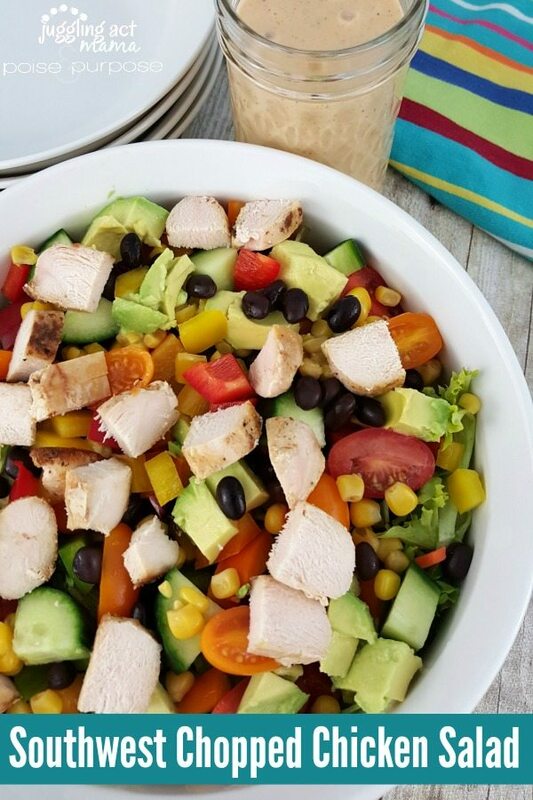 If you like this Southwest-inspired Chili Stuffed Peppers recipe, you’ll love me Southwest Chopped Chicken Salad. It’s a great addition to a game day buffet!